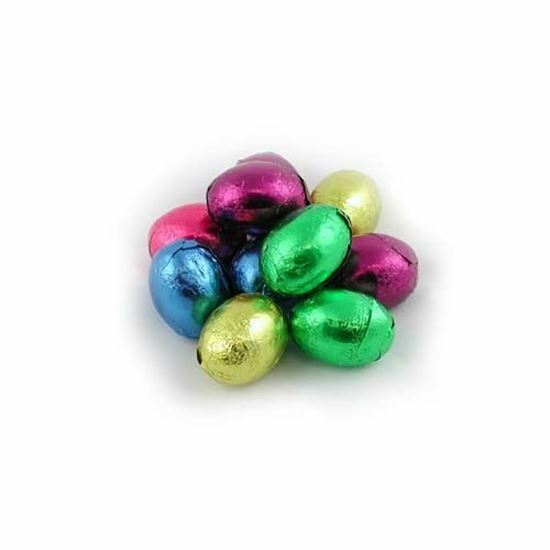 Dark Chocolate Foiled Easter Eggs. Chocolate Store, the online candy store with chocolate and candy. Dark Chocolate Foiled Easter Eggs - Bite sized eggs in dark chocolate beautifully wrapped in jewel toned foil. 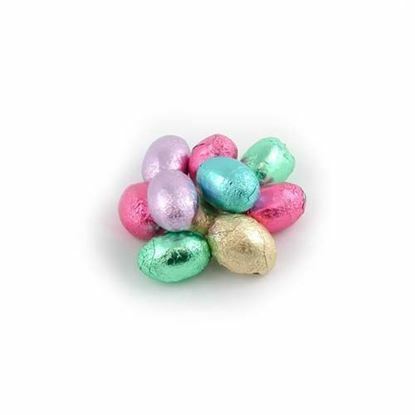 They are guaranteed to shine out of the Easter Bunny Grass in your Easter Basket. 63 pieces per pound.